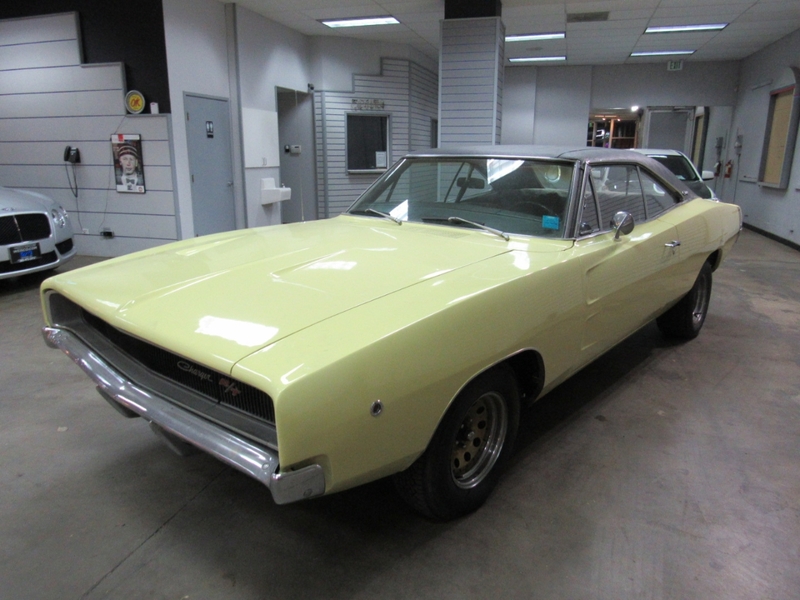 Used 1968 Dodge Charger R/T for Sale in Denver CO 80220 Weisco Motorcars, LTD. Very hard to find 1968 Dodge Charger R/T 440CI garage find from one family. This Charger R/T is a numbers matching car and is the way we found the car in the garage. This car will need to have the inside redone and other little TLC but runs and drives and is like a time capsule. Has air ride shocks on the rear and after market wheels other than that the car is stock. The body is in very nice shape with no rust and the paint is in ok shape and looks to have had a repaint at one point but was done in the stock color. All the glass is in good shape and the vinyl roof is in very nice shape. Have two full sets of keys for the car and all the door locks work. You will not find a better start to your next summer project or do a little work and have a very nice driver. This is a true numbers matching 440CI R/T that has only been in one family from new and they do not come up for sale so act fast. Call Weisco Motorcars for more info or to set up a time to stop by for a look over this Dodge Charger R/T. Message: Thought you might be interested in this 1968 Dodge Charger.